For me, however, it was a trip of double-duty. I was there as an author and as an educator. Therefore, the experience was very symbolic of the differences in the two worlds in which I live, as well as the connections. Prior to walking into the Hynes Convention Center, I had to stop at the Barnes and Noble in the mall to pick up a book suggested by my agent. While there, I just had to peek. Yup, there sat Dare Me, ready for purchase. I loved this fact. Following this, I walked the exhibit hall, checking out the publisher and vendor booths. There was an alarming amount of materials and software programs available for purchase. All of it geared toward making our lives as educators easier, and somehow capable of this (re) invention. These booths were sparsely populated. The English teachers that did dare, dodged sales pitches and tried to assess the products for their merit. 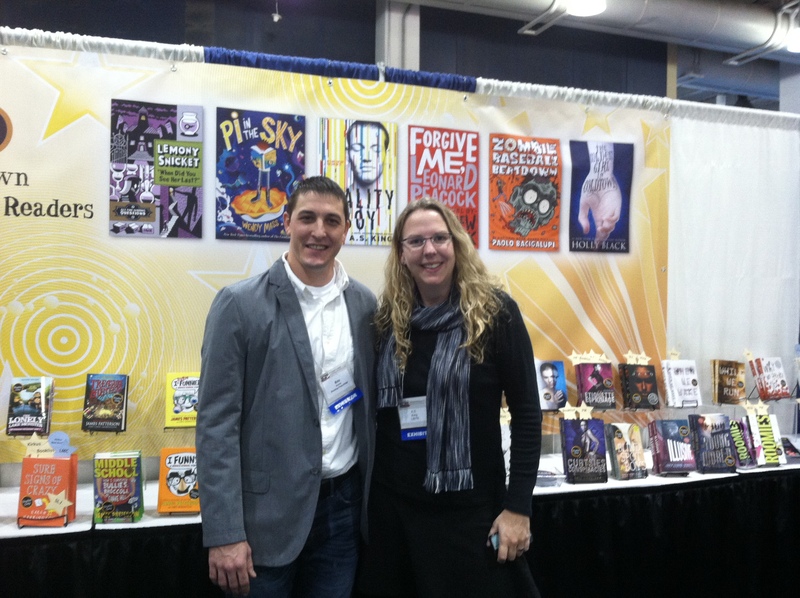 The publisher booths were not sparsely attended; they were packed. Albeit, many were giving away books, so that’s an obvious draw. And many had famous authors signing, another enormous plus. However, the lines for these booths told the real story. 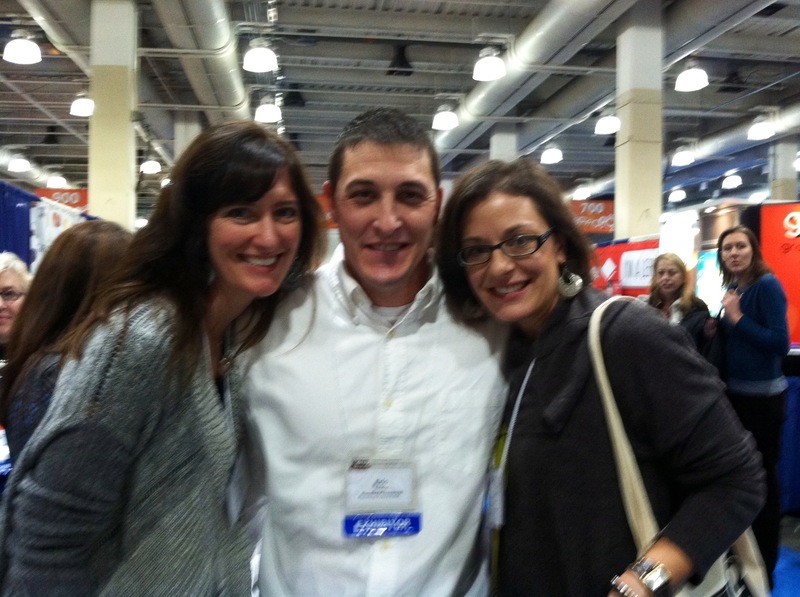 English teachers, who were spending days being told how to (re) everything within the classroom, were willing to spend time in line, waiting for a book and a moment with an author. That’s so very telling. Educators clearly understood the power of returning to a classroom with books, and especially those signed and dedicated to their students. This I adore, because it doesn’t get much more basic than a class and kids and books. No (re) invention here. Just the foundational basics that are necessary and that work, with the bonus of a dedication––possibly a promise for what may be achieved by reading. I too, stood in line. 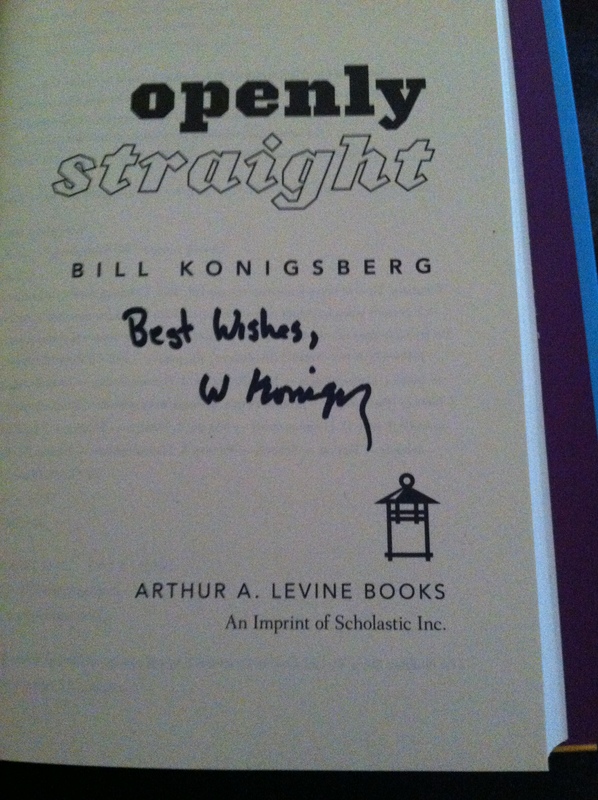 For Bill Konigsberg’s Openly Straight. It’s an excellent story of a teen who tries to cast off a label, but ultimately understands the futility in denying oneself ownership of who he is. Bill was wonderful. Happy to have a fellow author, but more happy to have me as a reader and teacher, willing to share his novel with students who might not necessarily find it otherwise. Yes, I totally love this combination. Two of my colleagues, Laurie Berner and Kim Shell, attended the conference and texted me this picture while they were in between sessions. I love them for taking the time to check out the booth where my work was displayed and letting me know they cared. This is the perfect blend of my two worlds. I’m not going to lie; this is one of my favorite pics from the weekend: me signing away. 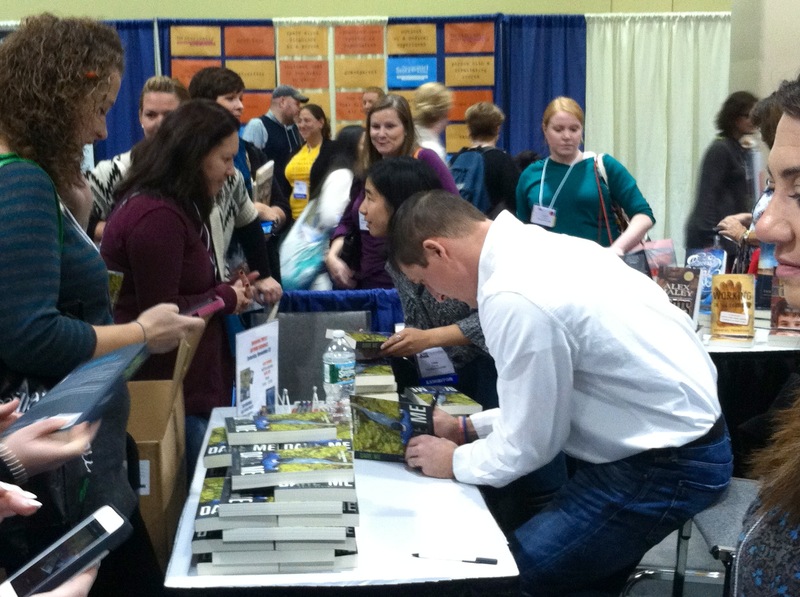 My hour flew by, as I spoke with and signed for educators, excited to bring my work back to their students. All my books went, and I can only hope that the students who read, remember to reach out to me afterward. I so want to hear their feedback. 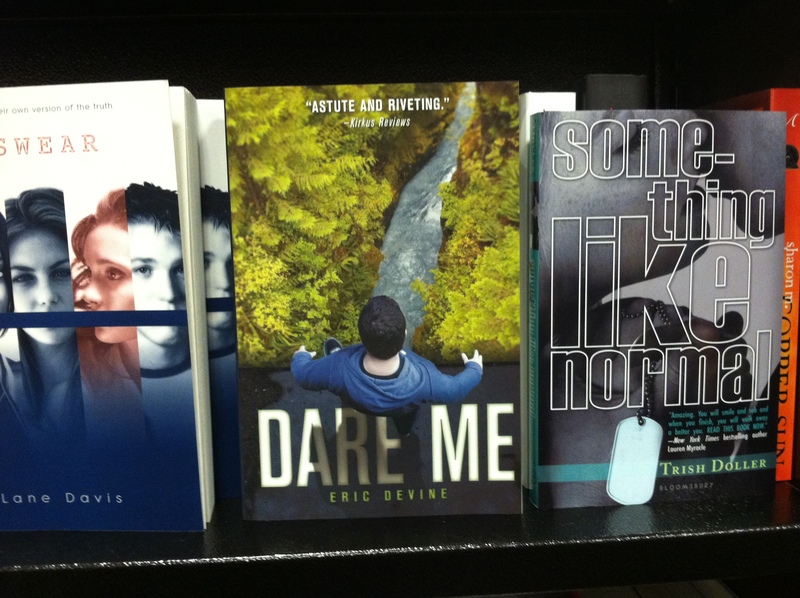 Because in spite of the audience of adults, I write for teens, and appreciate their insight. And look who showed up again. How could I not love this? 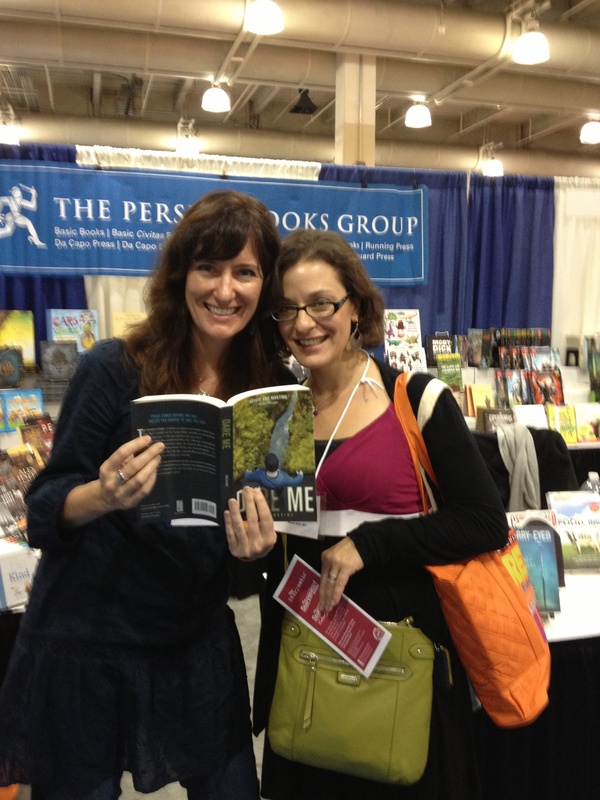 And here is possibly the highlight of my event: meeting A.S. King. She has written some of the best YA lit I’ve read, and having the opportunity to say hey and have a picture taken with her was a true honor. But what I loved about this moment is two-fold. One, she actually knew who I was. I’m sorry, but that recognition went straight through me and I am positive I blushed form head to toe. Two, I loved the down-to-earth nature she possesses. I had heard that meeting her would be very chill, but it was more chill than I had imagined. We had signings at the same time, so I made a bee line to her both, after mine, and there she was, talking away with another fan, like she had all the time in the world for us. And she gave us that time. I can only imagine how many students will now benefit from the teachers who picked up her work and will now gladly bring it back to their classrooms, full of praise for the author and her stories. THIS is exactly why educators need more if this experience. It changes the dynamic and makes books so much more authentic. 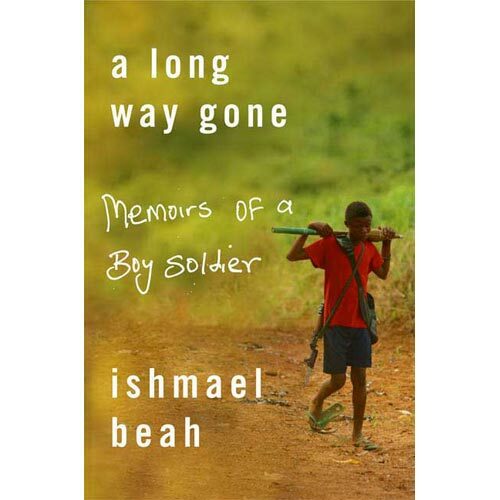 My last event of the conference was a luncheon with teachers and a keynote address from Ishmael Beah, author of the memoir A Long Way Gone: Memoirs of a Boy Soldier, and the soon-to-be-released novel, Radiance of Tomorrow. The dichotomy of the event could not have been more striking. As educators we sat and talked about the highs and lows of the conference, from the CCLS to just what mixed-modal meant. We examined and considered the title of the weekend. And then Beah spoke. His speech was beautiful, and within it was the promise of everything we as educators hope for: finding a better way through language. 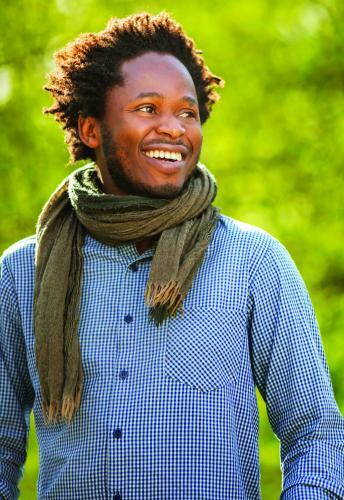 However, Beah comes from an oral tradition culture. His writing is infused with such, as was his speech. And the irony for me was profound. Beah spoke of learning narrative structure and of how to be a good listener and ultimately practitioner of the tradition and upstanding member of the community through storytelling. That’s it. It all boiled down to the stories. Speaking them. Listening to them. And owning them in a way so that you could retell them. And for me that struck such a chord. Because as an author and educator this is exactly what I’m trying to do. I want to write well enough so that readers are engaged. I want them to be so invested that they then take ownership of the story and share it with others, so that the process continues. The same holds true in education. Regardless of the delivery, the stories I tell via a lesson plan or that the students create on their own through an essay or a presentation, the concept remains. Learn how to love the story and it will become a part of you, and you will be a part of it, and in the process both will grow. It’s funny that it took a conference about (re) invention to bring this to light. Because we’re already there, always have been. We just need to remember what that looks like. So thank you to everyone I met. I hope you share my work, and I hope your students enjoy it, and allow it to inform them, and then pass it along. I hope their stories grow from mine. Maybe we can all reinvent ourselves, just not through an artificial application, but through the very organic aspect of stories. What’s there not to love in this? YAY! Glad you had such a good time!! Obviously 🙂 And what’s even more obvious is how much I’m looking forward to having you with me at the next event.